Part of the magic of eating berries is that they are so, so good for you. Every time you eat them, they’re doing you wonders – so you can enjoy them to your heart’s content. Berries are packed with nutrients, vitamins and fibre; plus powerful flavonoids, antioxidants and phytochemicals. All of these elements combine to prevent or even reverse a range of common diseases, and help slow the effects of ageing. They really are one of nature’s superfoods. Here are some of the ways they keep you healthy. The antioxidant levels in berries are incredible. 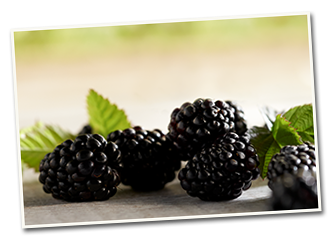 Blackberries and blueberries, in particular, are powerful sources of antioxidants, with plenty of cancer-fighting phytochemicals in each handful. New research now shows that strawberries and raspberries also help to prevent cancer, thanks to a phytonutrient called ellagic acid. A particular flavonoid found only in berries has been linked to enhanced memory, motor skills and brain function. Eating just a few serves of berries each week could slow the progression of age-related degenerative diseases such as Alzheimer’s disease and dementia. These same flavonoids have been linked to a reduced risk of Parkinson’s disease, too. The nutrients in berries will naturally lower your blood pressure, reduce inflammation and increase ‘good’ cholesterol – all essential for a healthy heart. Part of a berry’s secret to being such a heart-healthy food is its vibrant colour. Flavonoids are responsible for this colour – and when these flavonoids partner with the high Vitamin C content, they do an even better job at reducing the risk of heart disease. Sweet, delicious berries are ideal for a diabetic diet. Low on the glycemic index, they deliver a fresh burst of flavour without raising blood sugar levels too fast. Eating more blueberries may lower your risk of developing diabetes, too. Berries are ideal for a weight-loss diet – as they contain loads of flavour, yet have zero fat and hardly any calories. Plus, they’re packed with pectin, a soluble fibre that promotes a feeling of fullness. Strawberries, raspberries, blueberries and blackberries each have unique nutritional profiles. The good news? They’re all great for you. Serve up a mixed bowl of berries to reap these fantastic health benefits. 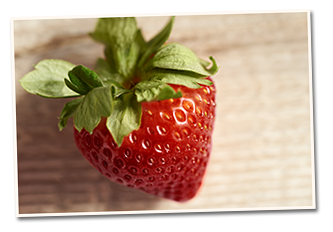 Strawberries are bursting with Vitamin C, making them one of the most immune-boosting foods in your fridge. There are many other health benefits, too. 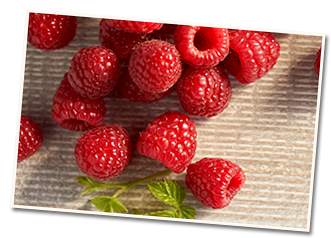 Not only do raspberries taste amazing, but they are incredibly good for you, too. Eat a handful today to give your heart a little extra love. 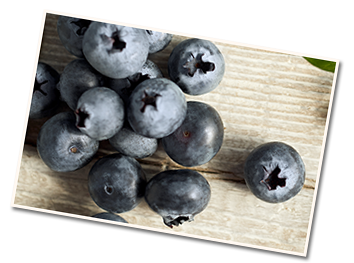 Blueberries are extremely high in antioxidants, making them one of the healthiest little treats available today. Throw a handful on your muesli each day and your body will thank you. Do yourself a favour and treat yourself to a handful of blackberries. Rich in fibre, vitamin C and anthocyanin, they are packed with health benefits.